At Hampton Ridge, we believe that having proper preventive systems in place can prevent most cases of post-discharge “falling through the cracks.” We have implemented the Ocean Healthcare Network signature Transitional Care Coordination Program to effectively eliminate these care gaps. Hampton Ridge effectively addresses these gaps at two distinct phases: the time of discharge, and after the patient is at home. The Patient Care Navigator reaches out by phone at specific intervals following discharge to determine the status of each of these issues. These are not merely courtesy calls: if a ‘red flag’ is detected, the coordinator takes immediate and decisive action. 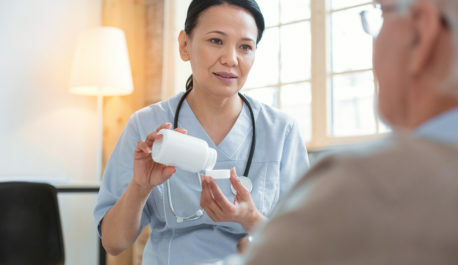 This can include notifying the Hampton Ridge nursing staff and patient’s physician; arranging medication delivery; proactively facilitating patient transportation to medical appointments; communicating with home health care agency or DME provider; and whatever measures are necessary to support patient’s health, safety, and successful outcomes. By completing the circle and keeping patients connected with the relevant services and departments within their healthcare system, Hampton Ridge helps close the care gaps and reduce avoidable readmissions.